Choose from three configurations when using the iSpeedy Aluminium Quick Extend Monopod from Fotopro to best suit your photography or video application. 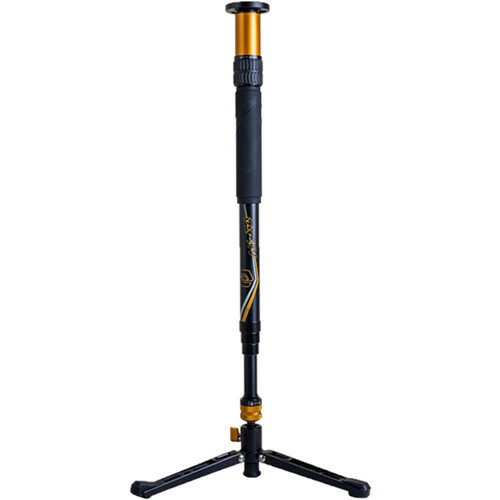 This monopod is also configurable as a Tripod or a Mini Tripod and it features an 11 lb load capacity. Features like rubberized feet, a covered spike, grip on the locking knobs, a fingertip recess on the friction adjustment lever, and the included 1/4 and 3/8" threads inspire confidence while providing versatility, utility, and comfort.